An area couple has donated $2 million to UR Medicine’s Golisano Children’s Hospital. The donation comes from Mark and Maureen Davitt. Mark is CEO of ConServe, a Rochester area-based company that specializes in doing collection work for colleges and universities. URMC officials say the donation brings the university close to its philanthropy goal for the new hospital building. The $190 million building, which opened in 2015, was originally conceived with the hope that $65 million could be raised through philanthropy; the remainder of the funds were provided by the university. The philanthropic campaign began with a $20 million gift from Tom Golisano in 2011. URMC officials say initially the Davitts were hoping to keep their donation quiet, but when told that sharing the news might inspire others to donate, they allowed some publicity. Earlier this year, the Davitts also announced significant gifts to the Seneca Park Zoo and RIT in hopes of generating additional philanthropy. 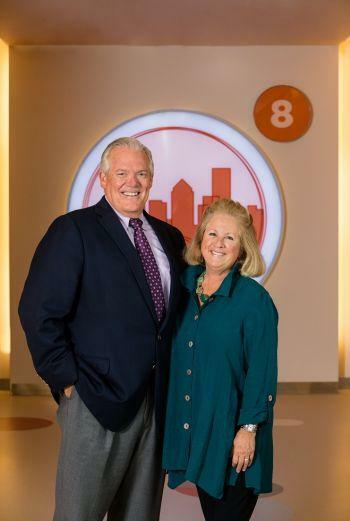 The 8th floor of the Golisano Children’s hospital will be named after the Davitts.